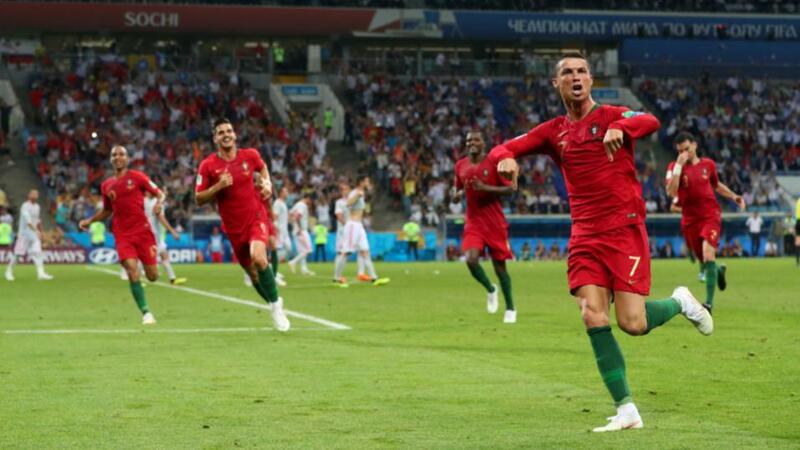 Will Ronaldo score on his return to the Portugal national side? "Ronaldo, who hit a hat-trick in his most recent match as Juventus produced a remarkable Champions League comeback against Atletico Madrid, is 4-5 with the Betfair Sportsbook to score at any time in the match against Ukraine." Gareth Southgate is widely considered to have excelled as England manager yet his team have been far from freescoring. Up to the recent match away to Spain, his side had completed a run of 18 games in which they hit six against Panama but only 16 goals in the other 17 matches. England's scoring record under Southgate is worse than those of the other four managers appointed since the turn of the century (ignoring Sam Allardyce, who managed once, and caretakers), but there have been signs of improvement. They won 3-2 in that game against Spain in Seville in October, beat the United States 3-0 and then, finally, defeated Croatia 2-1 in a match where they deserved more goals as they outclassed the World Cup finalists. England are 7-4 with the Betfair Sportsbook to score three or more times when they meet the Czech Republic at Wembley in their opening Euro 2020 qualifier on Friday. Cristiano Ronaldo has returned to the Portugal squad after being rested in the autumn and will have Ukraine in his sights when his team open their Euro 2020 qualifying campaign in Lisbon on Friday. His international tally of 85 goals (scored across 154 games) is 38 more than any other Portuguese player has managed (Pauleta is second on 47) and the vast majority have come in the second half of his career. Ronaldo, who hit a hat-trick in his most recent match as Juventus produced a remarkable Champions League comeback against Atletico Madrid, is 4-5 with the Betfair Sportsbook to score at any time in the match against Ukraine. Luton Town, Barnsley and Sunderland, the top three sides in the League One table, have played a combined 57 home league games this season and not lost any of them. If they remain unbeaten in their remaining 12 home fixtures (four each) it would constitute the first case of three teams being undefeated at home over one season in the same division since Norwich City, Birmingham City and Millwall achieved that feat in the second tier in 1971-72. Luton, who are unbeaten home and away in the league in 25 games, are the only one of the trio playing at home this weekend, when they are [1.79] with the Betfair Exchange to beat Doncaster Rovers.